The Background: Recently, after an effort of more than three decades, only two light combat aircraft, called Tejas, were delivered to Indian Air Force. IAF had, in fact, placed a demand of 140 Tejas and this prolonged delay in equipping IAF with single engine fighter aircraft, has put a big question mark on the capability of IAF to defend Indian skies. IAF has pegged its fighter squadron need to 45, but presently, it has only 32 operational squadrons. IAF has recently clearly informed the government that it did not possess the operational capability to fight a front war against Pakistan and China. Thus, undoubtedly the IAF needs much more fire power at the earliest. Need to buy Combat Jets: While the effort to produce Tejas would continue, India plans to purchase 200-300 fighter planes from foreign manufactures, but with certain pre-conditions that these jets should be made in India and with a local partner. A purchase of 200 single engine planes, which could be produced in India, would cost about $15 billion. These are urgently needed to fully replace the ageing Soviet-era aircraft, currently used by IAF. Towards this aim, recently India signed a deal to purchase 36 Rafale Jets from France’s Dassault Company at a cost of Euro 7.87 billion even though initially it had a proposal to buy 126 Rafale Jets. Presently, India is looking to purchase modern combat jets to check this decline in the operational strength of IAF, which is currently a third less than needed to face both China and Pakistan. Efforts to purchase fighter aircraft: Indian government has expressed a keen desire to launch domestic aircraft industry, which could meet Indian needs and should also have a potential for exports. IAF has indicated that it needs a minimum of 200 combat jets. Towards this aim, the Indian government has got in touch with a number of foreign manufactures of combat aircraft, who could partner with Indian firms and also transfer technology. 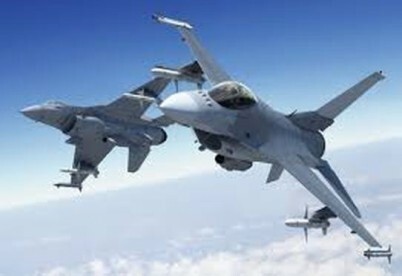 Lockheed Martin of USA, which makes F-16 aircraft, has expressed a desire to set-up a production line in India not only for consumption of Indian Air Force, but also for exports. It has offered to make India home to the world’s only F-16 production facility, and thus become an integral part of the world’s largest fighter aircraft supply chain. In the recent past, Indo-US relations have improved considerably, and in this context, Lockheed Martin’s offer assumes increased significance. In addition to this, Boeing, another US firm, has also offered its twin-engine F/A-18 Hornets to be made in India. However, there are some issues pertaining to technology-transfer, which are needed to be sorted out in the offer. Another major aircraft maker Sweden’s Saab has also approached India to make its Gripen aircraft in India and also help India build a local aviation industry. Saab is said to be more keen on transfer of technology matters and has promised India its full cooperation to build a complete eco-system, not just an assembly line to manufacture Gripen aircraft. Saab expects to build at least 100 aircrafts at the Indian facility, though they have not laid down any minimum number to do so. In the past, India’s Hindustan Aeronautics Limited (HAL) has assembled a number of Russian combat aircraft, including the modern Su-30 under licensed production. But currently India is looking forward to modernize IAF and also establish a base for launching aircraft industry in India. Conclusion: India can ill-afford to compromise on security of Indian skies. Therefore, the need to purchase at least 200 combat jets is not only urgent but inescapable. Towards this aim, recently India signed a deal with Russia to buy five S-400 TRIUMF air defence system (called Growler) at an estimated cost of Rs. 30,000 crore to improve Indian air defence. This is a very effective missile system against any type of aircraft & missiles etc. and can hit targets at ranges of 120 km, 200 km, 250 km and 380 km. It can hit targets at a very high speed of 17000 km an hour, which is faster than any existing aircraft. Thus, India is making all out efforts to safe guard its skies from any intrusion during peace or war times.